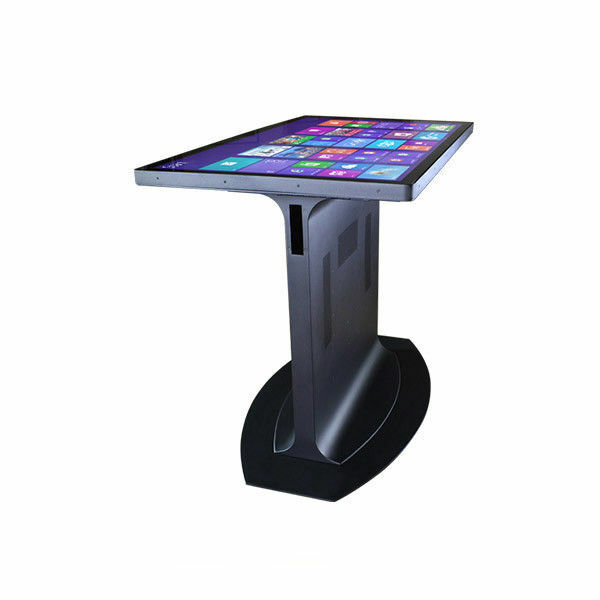 The Touch table that incorporates a fully functional Windows 8 computer with a 42" touch screen. With a 178° viewing angle, it is ideal for viewing enlarged photos or maps, playing with an interactive Koi pond, or allowing multiple users to comfortably view the same data from the couch, the wooden table is topped with an antiglare LCD screen that functions like a tablet computer. The screen's six touch points allow for easy navigation, its 1960 x 1080 resolution provides a sharp image in any ambient lighting condition. The tempered-glass surface can hold books, dishes, remote controls, and its IP34 water rating makes it safe for everyday splashes and spills. The tablet has an Intel Core i5 3.2 GHz processor, 6 GB of memory, 500 GB hard drive, and is Wi-Fi- and Bluetooth-enabled. With four USB ports, as well as DVI, audio-out, and microphone ports. Includes wireless keyboard and mouse. Plugs into AC. Black. 48" L x 30" W x 18" D.
Available Sizes: 32" 42" 46" 55"